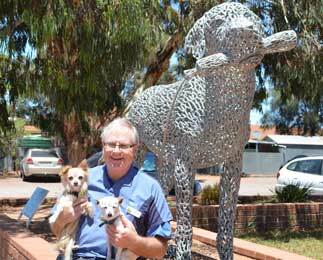 Dr. Melville-Smith has been living and working in Whyalla since 1998. He is the principal veterinarian at the clinic. Under his stewardship the veterinary clinic has a strong environmental focus on sustainability, runs a rehoming program for rescued dogs and cats and has expanded to offer a 7 day a week service. 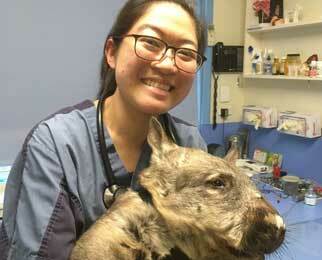 Dr Aliza Choi originates from Hong Kong and moved to Australia to study veterinary science at Melbourne University. She worked as a veterinarian at a few practices in Melbourne and Sydney before making Whyalla her home. Aliza says she loves the opportunity manage a wide range of cases and to have such a great team here to support her. It is where I need to be she says. She enjoys treating small animals including white ducks but her passion is cats. She has a black cat called “Cola”, who is her elegant companion, always waiting to welcome her home and remind her, its meal time! She can understand why the Egyptians worshipped them. Dr. Winnie Cheung originates from Hong Kong. She studied a veterinary degree at Murdoch University in Perth. 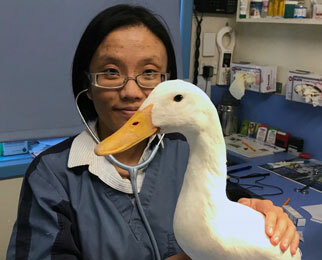 Winnie treasures the opportunities to care for animals, whether they are two-legged, four-legged, feathery and scaly and she has a great supportive team to help her. The wombat reminded her passion of wildlife and protecting the environment, thanks to Steve Irwin. Although she enjoys many aspects of veterinary science, she has developed interests in exotic animals, especially birds. Back in Hong Kong, she has had two cockatiels and five turtles since childhood. She enjoys hiking and exploring Australia.